When you are out of town you want your pets to get the same quality of care as when you are home. We provide care that matches your pet’s needs and you can leave guilt free knowing they are in the best hands. Plus we care for your home so everything is taken care of while you are gone! We work with you from start to finish to make sure you have a schedule that is perfect for you and your fur kids. Then while you are gone you can rest easy with regular pictures and video to let you know everything is going smoothly, so you can enjoy your trip! 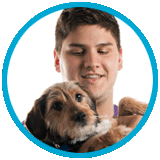 See our recommendations for pet sitting visits for dogs, active dogs, puppies, cats, shy cats, kittens, diabetic pets, rabbits and chickens. Does your kitty like to sit on your lap in the evening? Or maybe she likes to sleep with you at night. Even shy cats can enjoy playtime and company while you are gone. 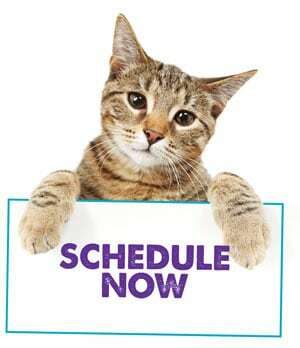 We work with you to figure out the best schedule for your kitty! 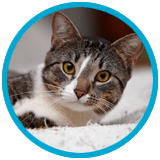 You can leave comfortable knowing your kitty has all the company and care she needs with an expert that knows specifically about cats. 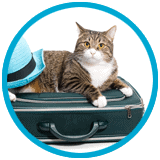 See our recommendations for pet sitting visits for cats, kittens and shy cats. If one of these sounds like you, we are here to help! Read about 8 Times When You Need a Dog Walker to learn about schedules and how dog walks can fit into your life. Puppies are the cutest but they require so much time! Did you know that puppies need to go potty at least as often as how many months they are old? Meaning a 2 month old puppy must go out every 2 hours! That can be hard for anyone to manage so let us help. We can go out for potty breaks, socialization, play time and help with any needed puppy cleanup. Take a look at our recommended schedules for puppies! Long day at work? Want to run a couple errands after work but feel bad that your dog is still at home? Schedule a lunchtime visit to break up the day and tire out your pup! We can go for a walk or play in the yard, have some cuddle time and play games. Fresh water and lunch or a snack break up the day nicely. 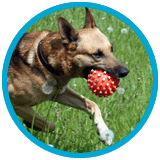 Your dog will be tired and you do not have to worry about rushing home at the end of the day. Learn about how lunchtime visits can fit into your life. Does your dog like to sleep in the bed with you? Does your cat just like knowing someone is around? Do you like the comfort of knowing someone is keeping an eye on your pets during the night? Then overnight care is for you! Special pets require special care. 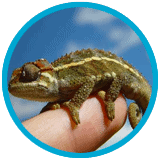 From feeding reptiles, checking heat and humidity levels to preparing fresh fruit for parrots, we can focus on your unique pets. See our recommended schedules for rabbits and chickens. Our pets are precious family members and we care for them as such. It can be daunting to need to give fluids to your cat or injections to your dog. Maybe you need help moving your pup around while you are working, or the family member who normally handles the medical care is out of town. One of our sitters can step in to help just when you need it. 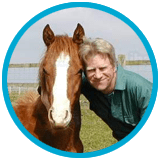 We understand horses are a specialty that require a knowledgeable sitter. Only horse-experienced sitters watch our hoofed friends so you know they are in good hands. We evaluate the situation and your needs to ensure your large friends are well cared for exactly how you would. Why spend your fun time cleaning up after your fur kids? We can do it on a regular basis and you will not even have to think about it. Enjoy your dogs and your yard without any messes or work. Schedule it and forget about it! We are here to help you and make your life easier. You don’t want to have to guess about pricing! At Wet Noses Pet Sitting we price our visits based on the length of the visit, no matter what type of visit it is. Multiple Pets: Pricing is based on up to two pets. 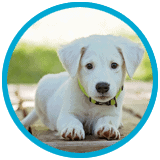 There is a surcharge of $2 for each additional pet, but we evaluate each house individually. We do have a normal service area, but we can go further for some areas with a surcharge. Houses with parrots and farm animals need to be evaluated individually to determine your pet’s needs. We are happy to discuss options with you to determine what would best work with your household. Making sure you have a schedule that is right for you is the first step to having a wonderful vacation or day away. Contact us so we can work as a team to get the best care for your pets! 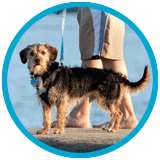 On leash walks: For the safety of your dog and our sitter, we do not walk dogs off-leash under any circumstances. 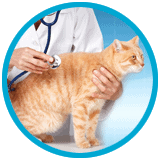 Minimum cat visits: Many cats do well with one or two visits a day. We do require a minimum of one visit per day you are gone. Minimum dog visits: Dogs can require anywhere from two visits per day (if you have a dog door) to three visits with an overnight stay. We do recommend at least three drop in visits per day or an overnight stay for dogs that do not have a dog door so that they have a chance to go out at least every 8 hours. Minimum first booking: We require a minimum first booking of $50. If your appointment is less than the minimum then your account will be credit for the future. Key requirements: Two keys to your home, or a key and a garage code, if you are going to be out of town. Garage codes can be substituted for a key for dog walks, but we require at least one copy of a key if you are going to be leaving town. Read more about why we require two keys. Acts of God: For cancellations due to unavoidable problems there is no cancellation fee. Common problems are: bad weather here or the area you are traveling to, natural disasters, government shutdown, etc. Being sick is not an unavoidable problem. Dog walks: You will be credited for the visit if you cancel by 9am the day of the visit. Vacations: There is a fee of 50% of the total invoice if you have canceled within 4 days of a normal trip or 7 days before a holiday trip. For trips of longer than 2 weeks a deposit may be required that will not be refunded if canceling within 2 weeks of the trip. Details will be discussed for each such situation.